The Awami League candidates for the reserved seats for women in Parliament are “brilliant and bright,” said the party’s General Secretary Obaidul Quader. “We took a long time to finalise the candidates,” he said on Monday (Feb 11) at the Election Commission Secretariat where he handed over the finalised list for the 43 candidates for the reserved seats. 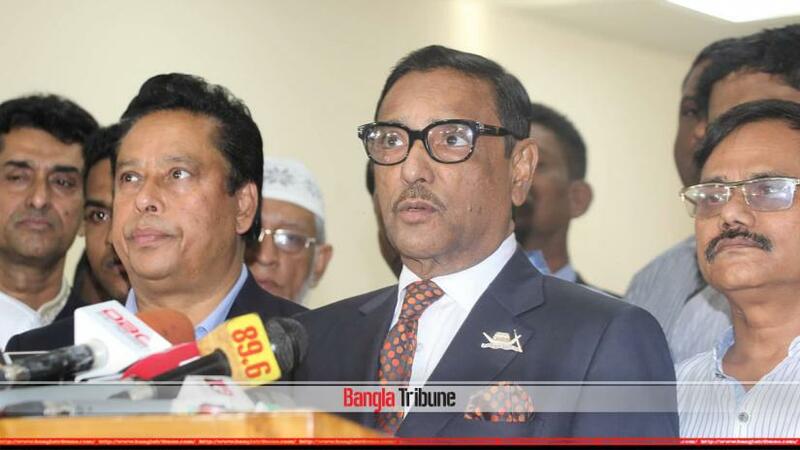 “They all are brilliant and bright, committed and dedicated,” Quader said, adding that they were selected based on their commitment and sacrifices for the party. He added that while selecting the candidates they took representatives from all arenas including business and culture. Earlier on Monday Jatiya Party Secretary General Mashiur Rahman Ranga handed over the list of the party’s candidates for the reserved seats as well. Accordingly, 43 seats are allotted to the Awami League, four to the Jatiya Party, one each to the BNP and the Workers’ Party while the independent candidates may receive one seat if they join the votes.